Amaco's LM Matt Glaze Series is one of the most pleasing for decorative art pottery. 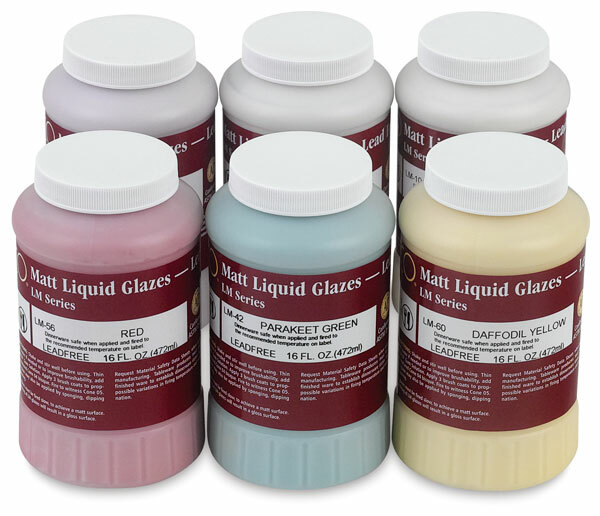 These glazes are supplied in liquid, ready-to-use form. Brushing, pouring, dipping, or spraying are all suitable methods of application. Amaco Matt Glazes should be applied on fired bisque and slow firing is recommended. Cone 05 (1911°F, 1044°C). These glazes are dinnerware safe. They contain no lead or cadmium bearing ingredients. All colors except Transparent Matte are opaque.